From plum to lavender, purple has been a growing trend and continues to be strong. Choose from paint, wallpaper, fabrics and key accessories such as cushions, throws and ottomans. From the softest muted lavender shades to dramatic grape and wine tones it is great as an accent for dramatic impact on a focal wall in the living room and most popular in bedrooms paired with black & white, gray, whites and a rustic brown. 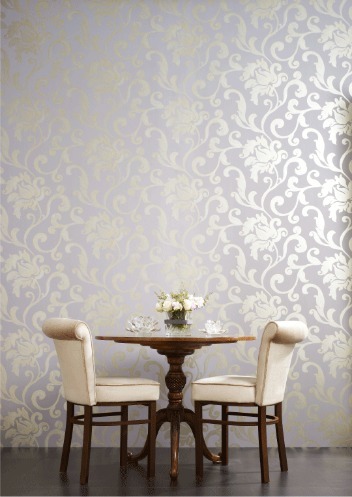 Here are my top picks for purple in paint colours and wallpaper. As you may have noticed, purple is one of my colours.